industry´s interest is welcome to apply for membership. Print your membership application here. Link to TMAS statutes (in Swedish). 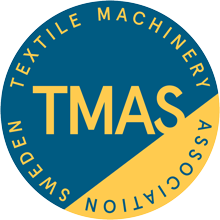 TMAS is an association within Teknikföretagens Branschgrupper-TEBAB. It is important that the activities of the company and the industry associations affiliated, are conducted in a manner that clearly stays within competition law framework. TEBAB Code of conduct. The TMAS Code of Conduct sets out the standards and professional conduct used at TMAS to guide our interactions, every day, with each other, our employees, our customers and business partners around the world. I want more information about membership.